This is an unusual and unexpected thing to find in a newspaper. 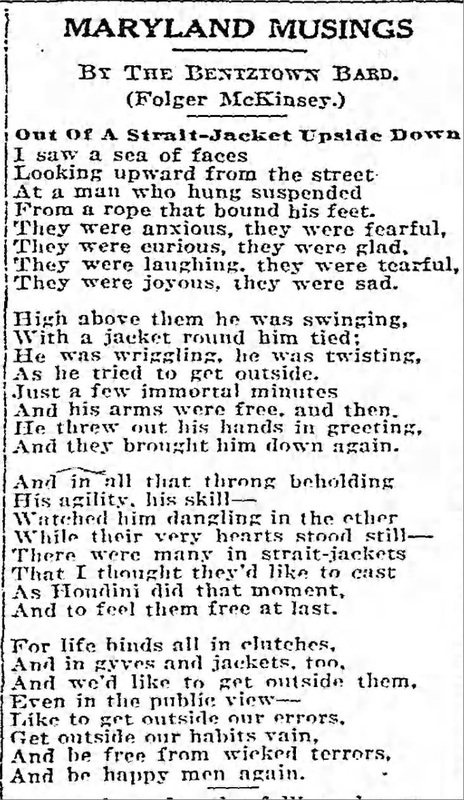 But sure enough, there it was in the Baltimore Sun the day after Houdini's Upside Down Straitjacket Escape in Baltimore. 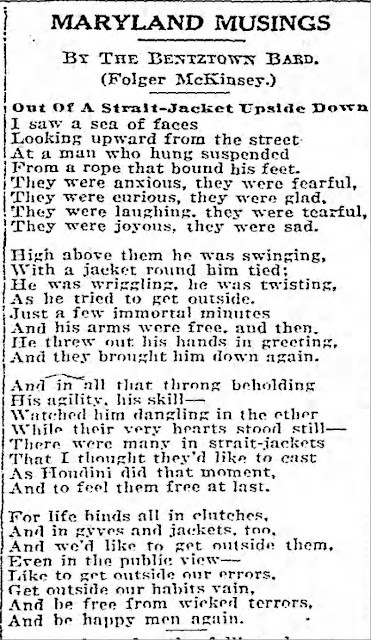 It's a poem about his daring escape.